The CA® CLEAR ALIGNER presents an innovative method for straightening teeth. 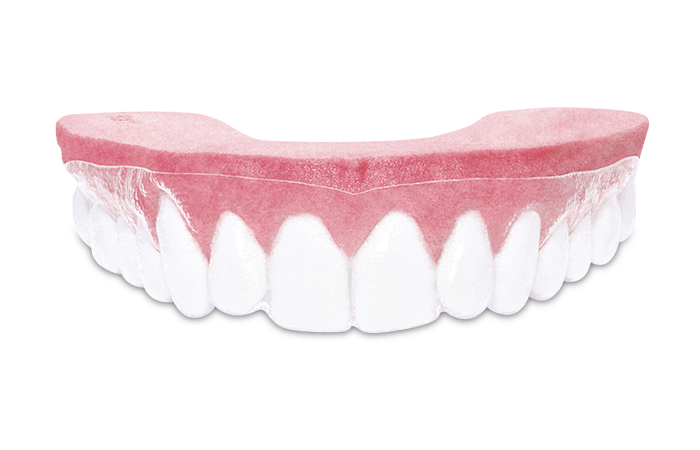 The aligners is made of transparent, biocompatible materials and is thus nearly invisible. 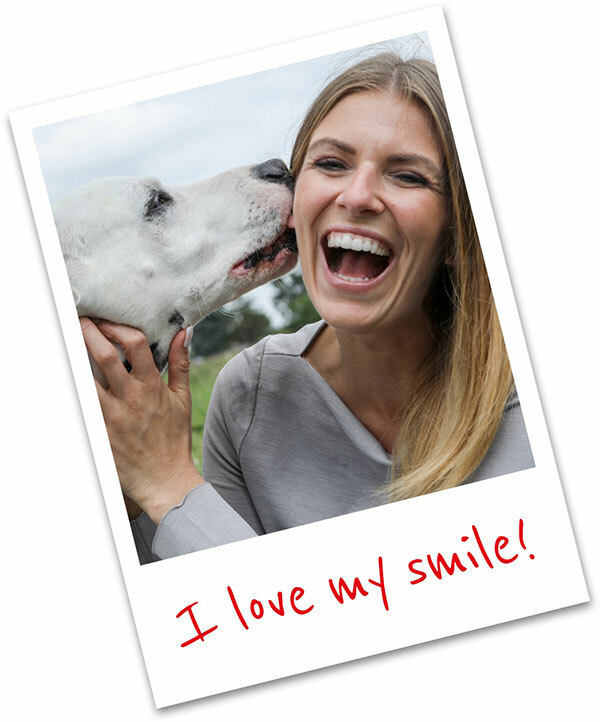 In the past 5 years alone, over 200,000 patients were treated successfully with CA® CLEAR ALIGNERS. Correction of malocclusion with the help of aesthetic, virtually invisible CA® CLEAR ALIGNER aligners is an important treatment method in modern orthodontics. Especially for adult patients, this has proved to be a reliable treatment concept in several clinical cases. This method guarantees ideal treatment results in addition to a high level of wear comfort for the patients. The applications are indeed versatile: the CA® CLEAR ALIGNER allows orthodontists to effectively treat mild to moderately severe cases of malocclusion of the anterior teeth in the upper and lower jaws. Not only the 3-aligner system but the shape of the aligner too is exceptionally innovative: In contrast to other aligner systems, the gingival area is partially covered (2-3 mm). This increases the transfer of pressure and enhances treatment efficacy thanks to the so-called "sucking effect". The CA® CLEAR ALIGNER is also much more inconspicuous than other aligner systems due to reduced light refraction at the incisal edges and the use of fewer attachments in the anterior region. Three different material thicknesses worn over a period of four weeks for a unique and attractive smile: during each treatment phase, the patient wears three aligners, each with a different material thickness. A steady increase in pressure helps to correct the patient's teeth gently yet effectively and without any discomfort. 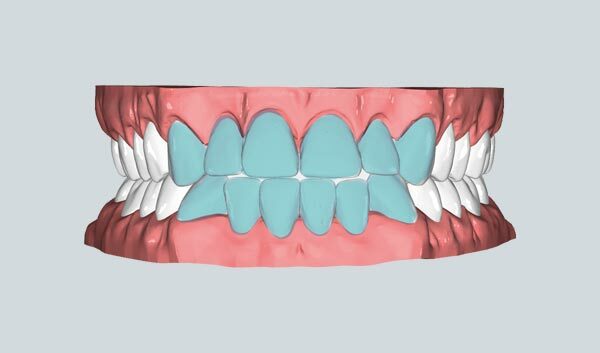 The special aligner design also covers the gingival area (2-3 mm), whereby a greater amount of pressure is transferred and the treatment is thus more effective. A convenient full-package service or maximum added value? The CA® CLEAR ALIGNER system offers the ideal solution for every practice and requirement. Irrespective of which version you choose, all versions are planned, designed and fabricated by highly experienced dental technicians in our specialist laboratory in Germany. It goes without saying that competent advice and support are part of our comprehensive service package. We'll do the planning, you make the aligners. In this version, you will receive STL files which you can use for fabricating aligners in your in-house lab with the help of your 3D printer and thermoforming equipment. 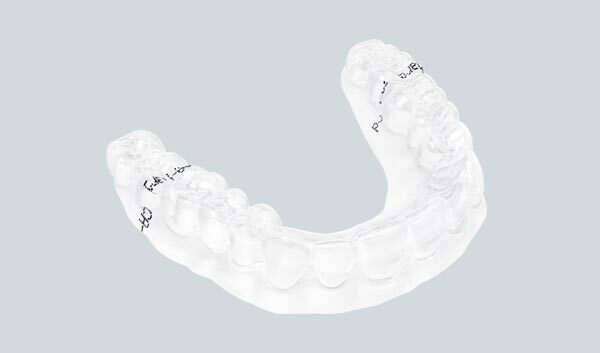 Fabricate the aligners in the convenience of your own in-house lab. In this version, we deliver precise, digitally generated 3D printer models for thermoforming – up to five steps in one delivery. The digital all-in-one solution that makes everything easier for you. 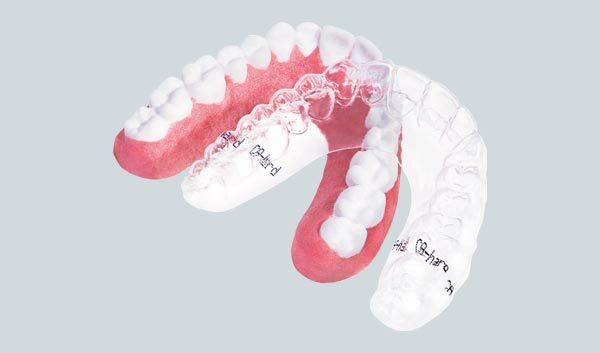 We do everything from precise digital planning to the customised production of the aligners which are then delivered to you – up to five steps in one delivery. * Please note that a CA® CLEAR ALIGNER certification is a prerequisite for acquiring the data and thermoforming versions. Dental realignment based on clinical CA® case reports by Dr. Pablo Echarri – tooth movement of up to 1 mm per month. AESTHETIC, ESSENTIAL: highly advanced application solutions enable the treatment of virtually all types of indications – among adults and adolescents alike. The intelligent 3-aligner system designed to cover the gingival area accelerates tooth movement and ensures faster and more accurate results. As a new impression is taken after every fifth step, deviations from the original treatment plan for purposes of correction – for instance, due to the patient's lack of discipline to wear the aligners as prescribed – are possible at any time. Data, models or fabricated aligners – choose from among three delivery versions and generate the best added-value benefits for your practice. The VECTOR® 40 SCREW for transverse expansion – an efficient add-on at your disposal – can be a quick and easy solution for treating difficult and complex movements. CA® CLEAR ALIGNERS are transparent and extend over the gum line. This makes them virtually invisible. Pleasantly smooth and biocompatible, these high-grade aligners bring a feeling of ease and comfort in the mouth. The aligners do not restrict your patients in their daily routine. They can be easily removed for eating, drinking, brushing and flossing. As they are changed every week, care of the CA® CLEAR ALIGNERS is easier compared with other appliances and aligner systems. Three different material thicknesses and the intelligent aligner design enable quick, excellent and precise results. In many cases, this treatment method is more affordable than those that involve other aligner systems.